There are many who do not want to immigrate to the United States but have reasons to visit temporarily. The most common non-immigrant visas issued are for tourists, for students, and for business purposes. There are also other non-immigrant visas that serve other purposes which vary from artists performing at concerts to executives and managers being transferred by their company to the U.S. to open a branch office. Typically, tourist and business visas are straightforward and not complicated. But, all other non-immigrant visas require analysis and understanding of the regulations by an experienced immigration attorney. If you or your company would like to explore opportunities of expanding your market into the U.S. or have a business venture or wish to perform your art or sport then a Los Angeles immigration lawyer from our firm can assist you. At the Law Offices of Henry Haddad, we can help you to determine whether this avenue is right for you and which visa may be most appropriate. We are committed to helping you get through the lengthy process of applying for a visa with the end goal being a successful outcome. One of the ways our Los Angeles immigration attorney seeks to assist those who need counsel for an immigration matter is by assisting students who need a visa. Part of achieving the American Dream is to be able to live and study in the United States. To qualify for this, you will need either the F-1 or an M-1 visa. Let the Law Offices of Henry Haddad help you with the petitioning process. Applying for a visa on your own can be very difficult and confusing. There are special requirements and documents which you must have in place and it is important to know what to expect in the process. Unless you are an expert in immigration law, it is important to have legal counsel on your side. 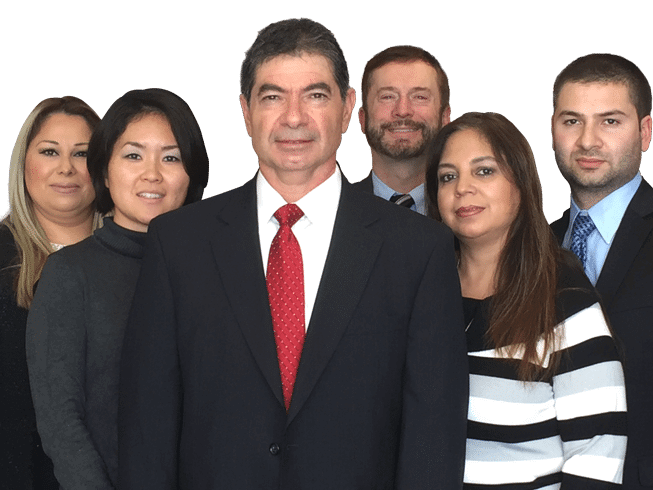 Our Los Angeles temporary visa attorney has more than 30 years of experience and we can provide you with valuable guidance on your case. We have the success, experience, and knowledge you need on your side. Understanding the requirements and the length of the whole process is valuable information that you need to know before making a commitment to apply for a non-immigrant visa. Our office has the experience and insight that are needed to complete the application process and deal with government inquiries. We have been successful in helping hundreds of clients from all over the world. if you would like a free consultation.